If you have ever been through an IVF cycle, you may or may not have ended up with extra embryos that you chose to freeze. It is estimated that there are around 500,000 frozen embryos in storage in the USA alone. When I am out with our family or three girls and a boy, there are countless instances where someone will say to us that “Had I known number 3,4, etc. would be a ______(boy or girl), we would have gone for it for sure.” Well, you can guarantee that number 2,3,4, etc. 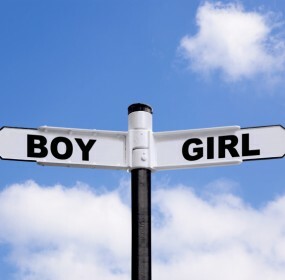 is a boy or girl and anyone that has been through IVF and has frozen embryos can test them and transfer their desired gender too. In our GenderDreaming Discussion Forums, we have had new members join this year and do just that- test their previously frozen embryos- some frozen on day 3 and others day 5 and transfer the less represented gender from their current family makeup. Had this option not been available, those frozen embryos may have been discarded or frozen indefinitely. Just like the technology for freezing embryos, PGD options have progressed greatly in the last few years. The older testing method, FISH, is being widely phased out and newer, more comprehensive and most importantly more accurate testing methods such as Natera, aCGH, PCR are yielding better results. They are capable of testing all 22 pairs of chromosomes plus X and Y. Pregnancy rates seem to be much higher when transferring all chromosomes. So, maybe that is an option for you if you are lucky enough to cycle and have leftover embryos. We’d be happy to talk with you about the process and if your clinic doesn’t have the capability of testing embryos, we can recommend some that can!